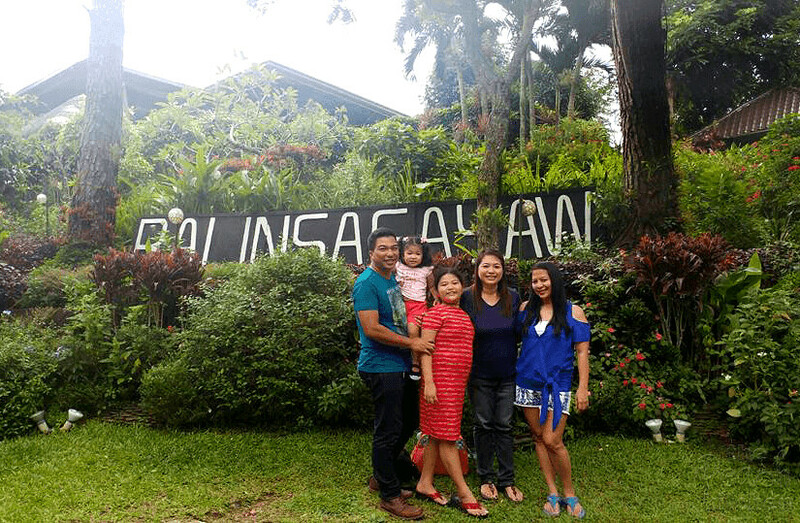 After checking out of Taal Imperial Hotel and Resorts, we decided to have lunch at Balinsasayaw Restaurant. 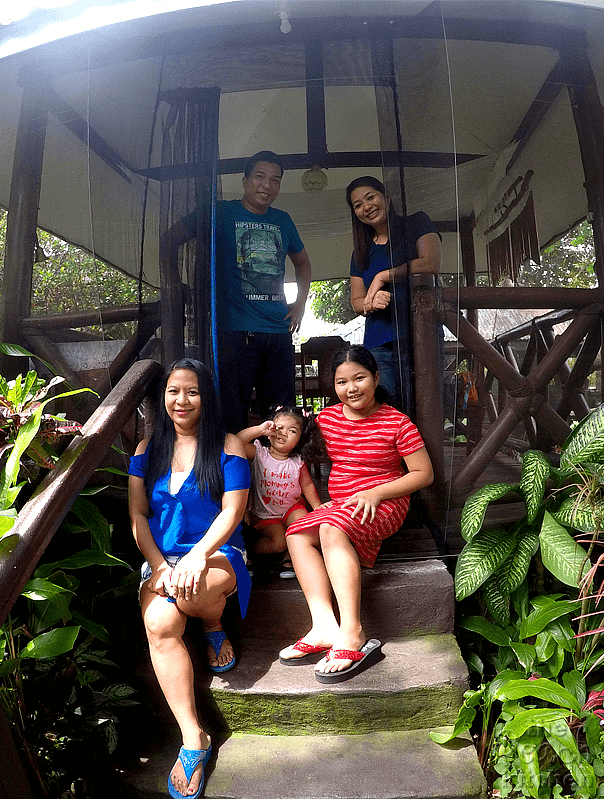 I don’t know whether the area is Tagaytay or Cavite but it’s located along Aguinaldo Highway.. Sis wanted to go to the main branch wherein you can check in. According to her there’s lots of places there where you can have a photo opp. Unfortunately, that place closed down a few months ago. So we have no choice but to to this other branch since we really wanted to try this restaurant. 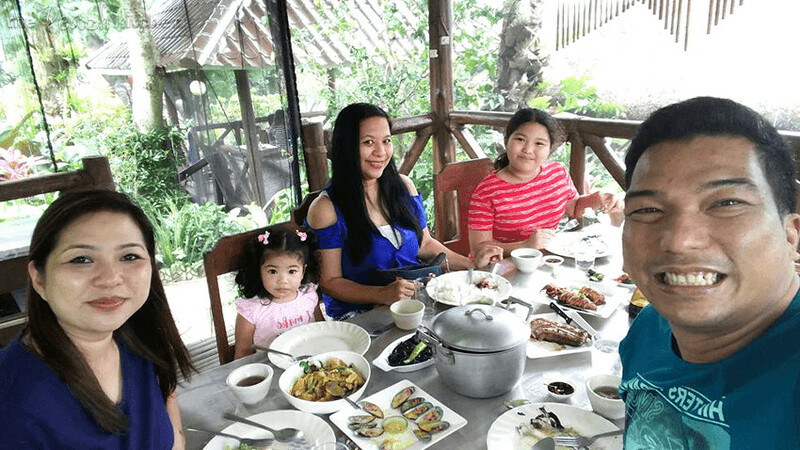 The place was big and their tables were inside separate small huts. We were led to this one above. I’m thinking there may be lots of mosquitoes out here especially at night because of the (mosquito?) net around the hut and the trees and plants around. But I didn’t see any naman since it was the middle of the day. We were already starving even though we don’t look it. peanutbutter♥ wanted to order Crispy Patatim but I reminded him that we still on a no red meat diet. So what we ordered were mostly seafood. 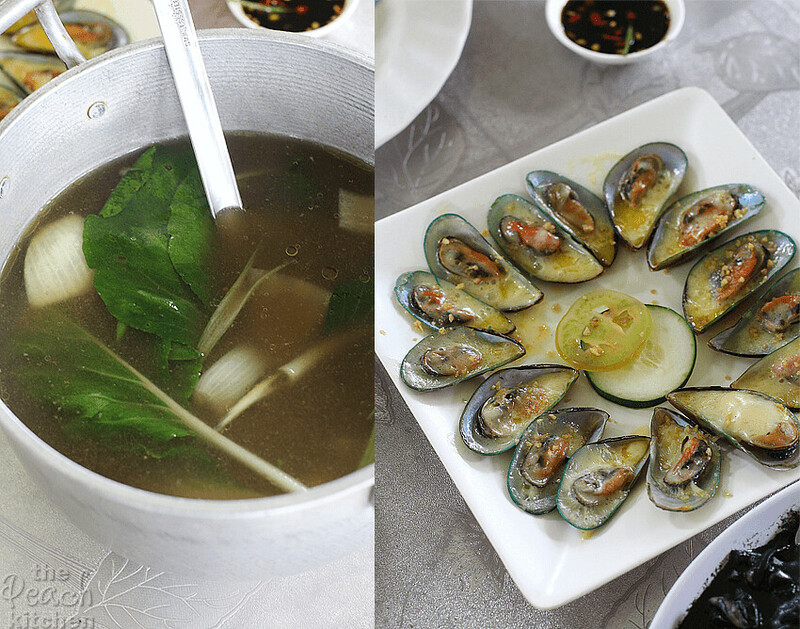 We had the Bulalo Soup (₱115), soup and veggies only and no meat and Baked Tahong (₱195) which was cheesy and buttery but the mussels they used were quite small. 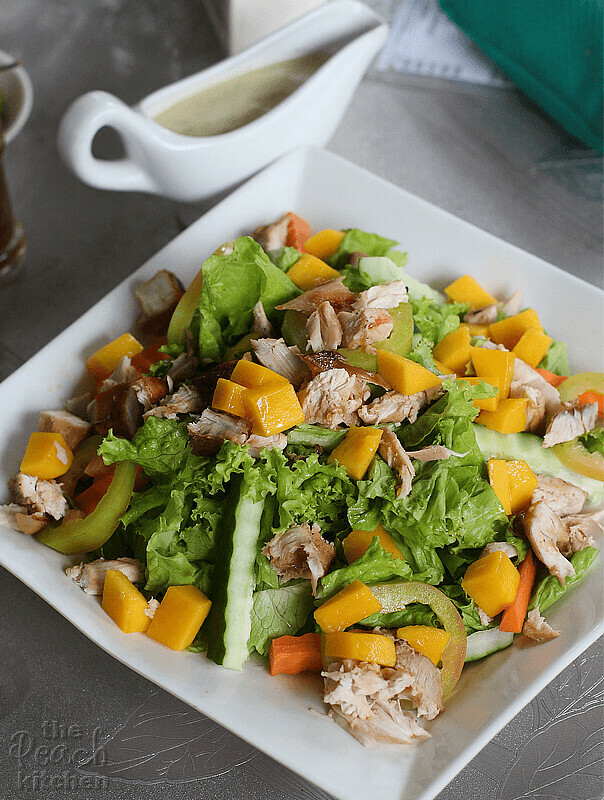 Because I love salads, I just had to order and try the Banlinsasayaw Mango Chicken Salad (₱275), it’s composed of lettuce, chopped chicken pieces, mangoes, tomatoes, cucumber, carrots and a vinaigrette for dressing. This salad is good for 4-5 persons. 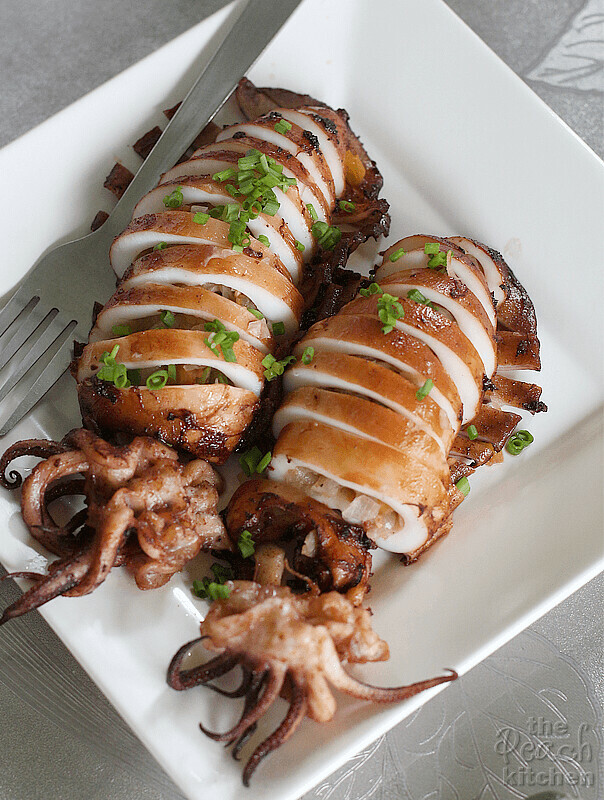 The Grilled Squid (₱335) is a bit costly but it was perfectly cooked and you can tell it’s fresh because of how good it tastes! 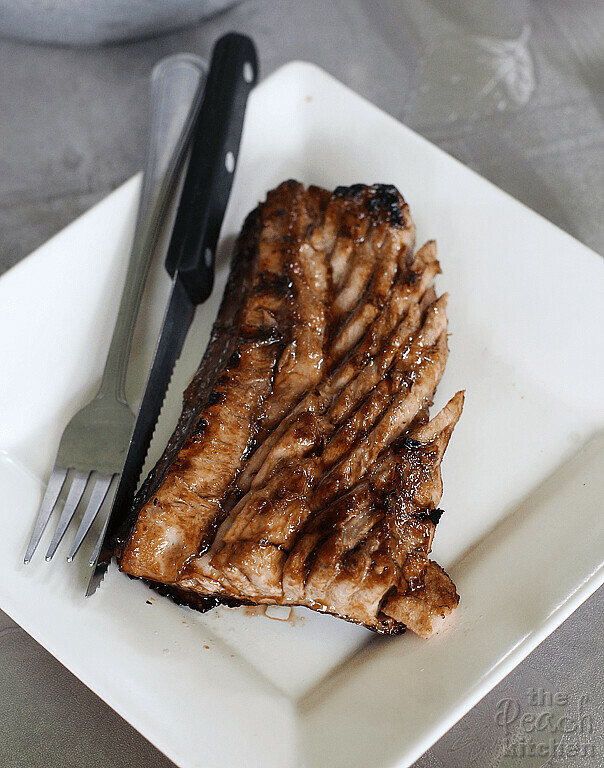 We also had Grilled Tuna Belly (₱315). 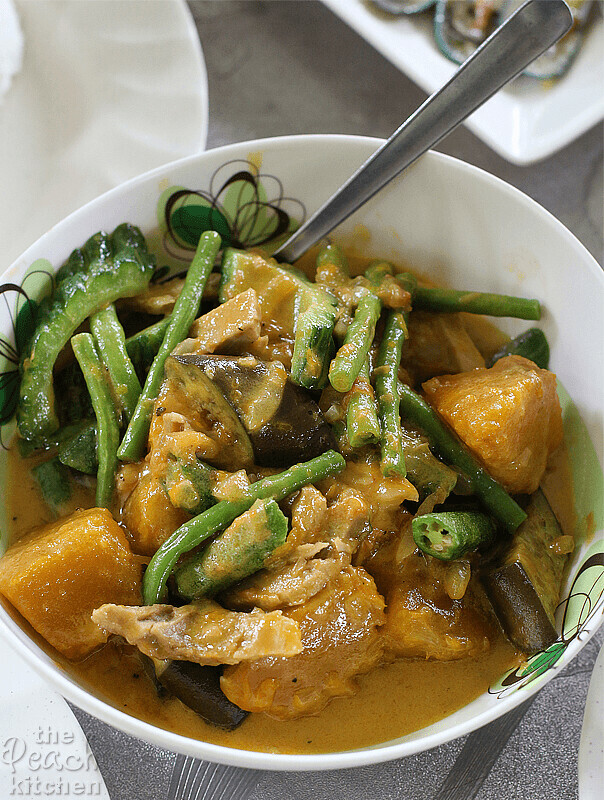 The waiter recommended the Ginataang Pakbet (₱215) which is like the usual Pinakbet, only it was cooked with coconut milk. It turned out to be good. 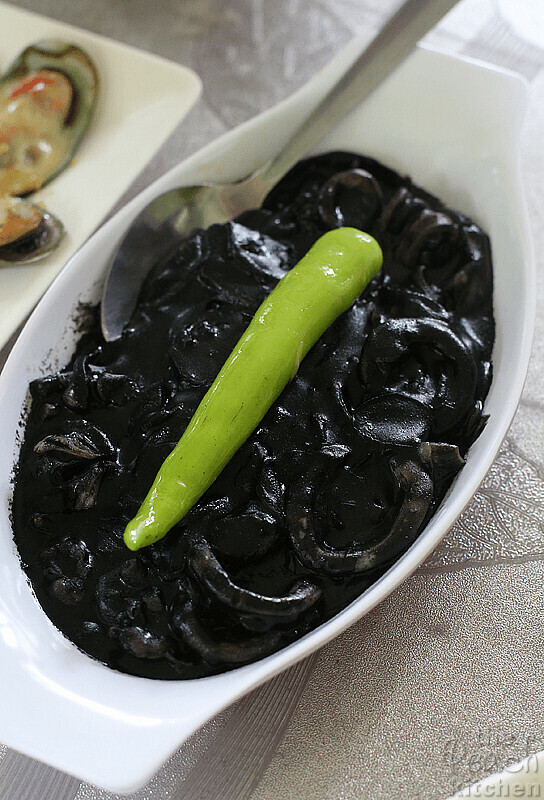 Sis ordered the Adobong Pusit (₱235) because she is forever craving and forever in search of the best adobong pusit in the world (pansin nyo pag Filipino restaurant at kasama sya, laging may adobong pusit?) 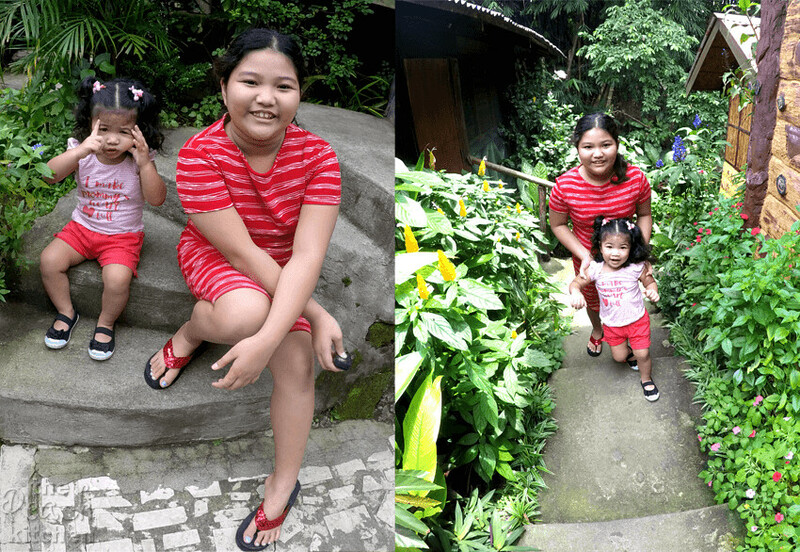 — as if mine and hers is not yet the best in the world…heehee . 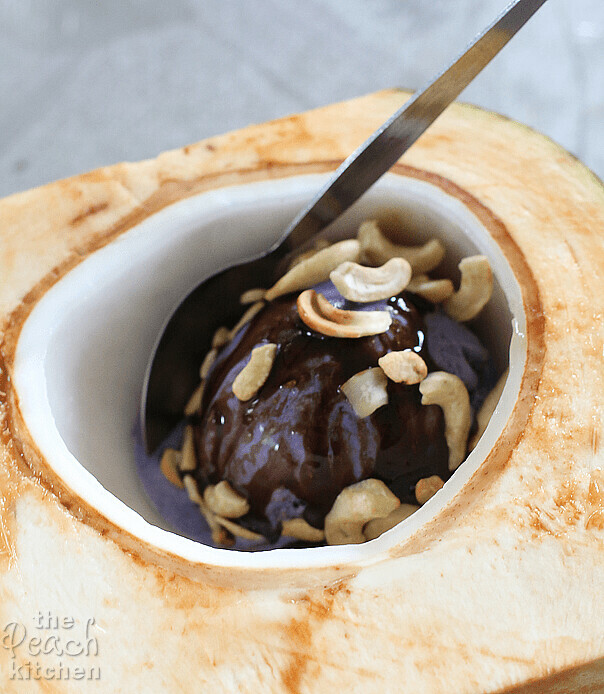 To end our meal, we shared the Balinsasayaw Dessert (₱115), 1 scoop of ube ice cream on a half buco shell with macapuno and roasted cashew drizzled with chocolate syrup. This combination works — the fresh coconut makes it so much more delicious. 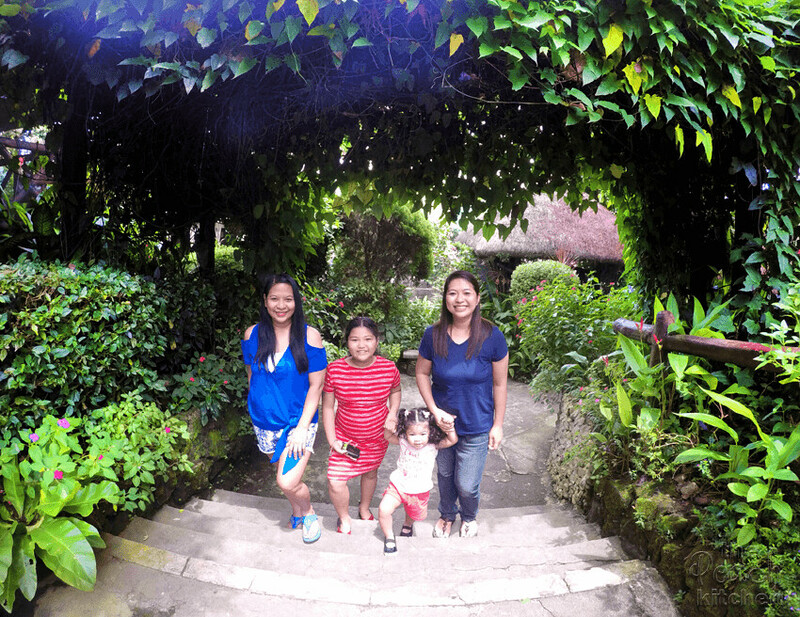 Our next stop after mabusog? — The Gingerbread House.